Most brand new entrepreneurs get hung up on the business formation process because they don’t understand what types of businesses are out there. Let’s face it, not everyone has an MBA. Not everyone is educated in the mechanics of starting a business. But the good news is that launching an online business is not rocket science. And the purpose of this guide is to lead you through all of the red tape that the government imposes on small businesses. It’s unfortunate, but most of the information required to start your own business is not centralized in any way. The federal government requires several forms to be filled out, your state government has some more forms to fill out and finally your city usually requires some amount of paperwork as well. The main problem is that each of these institutions don’t have any knowledge about what needs to be done outside of their own jurisdiction. For example, if you ask your local state office about what federal forms and regulations are required, they’ll simply point you to IRS.gov. Likewise, if you check online with the federal government, they won’t have a clue about your state regulations. Compiling all of the necessary information and forms can be daunting which is why I documented all of our experiences in selecting our legal entity. Disclaimer: I’m not a tax or legal expert. All advice described in this article is based on my own research and are not guaranteed to be completely accurate. Rules change all of the time and you should check up on everything I have to say below. Do You Need To Form A Legal Entity? One of the most common questions I get asked is whether you need to register your business or incorporate if your business doesn’t generate much revenue. In other words, should you bother incorporating, getting your sellers permit and businesses licenses if you’re not making any money. The answer is a resounding yes and here’s why. If you are serious about your business, then you should complete all of the necessary paperwork to become legal. Especially if you accept credit cards, your business can easily be exposed. If the government finds out you are not registered, you could become subject to fines and penalties or your business could be shut down. If you don’t pay taxes on your earnings, the IRS can track you down and impose criminal charges and even jail time. However if you are just a hobby business or occasionally sell junk out of your garage on Ebay, you can probably get away with it. But even so, you should keep in mind that there are many tax benefits in making your business official. For example, you can write off business expenses and even reduce your own personal taxes if your business takes a loss. In the end, it’s up to you whether you want to take the risk of getting caught. Once you are in the government system, you open yourself up to the wonderful world of forms, rules and regulations. Don’t worry though, I’ll try to walk you through it. At the bare minimum, I will cover what I’ve gone through with our business. I’m going to be covering the basics of becoming a legit business and why we made the decisions we did in turning our business into an LLC. 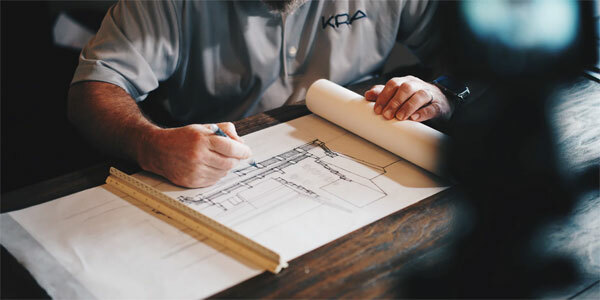 Deciding on a corporate structure – You might think that you can get away with being just a sole proprietorship but there are many things to consider depending on the nature of your business. Trademarks – Choosing your own unique domain name and making sure that your business name is not already taken is an extremely important step when starting your own venture. I’ll go over some of the legal requirements and pitfalls involved. An Overview Of Small Business Taxes – I’ll go through what can and can not be deducted on your taxes. All of the paperwork isn’t so bad once you go through it once. The main purpose of these articles are to make you aware of what to expect as you go through the process. And hopefully, you won’t be afraid to take the plunge. If you have additional questions, feel free to email me or reach out to CorpNet and get a free 1 on 1 consult. Most people who aspire to start their own business already have some idea about the different corporate structure options available to them. And it’s a well known fact that most business owners choose their legal structure based on one criteria: limited liability for business debts. For the purposes of this guide, rather than rehash all of the nitty gritty that you can simply read about in any book, this guide will try to summarize and simplify the decision making process for you. In addition, I will also discuss the reasons why we chose to form an LLC for our company. Disclaimer: I’m not a legal or a tax expert. All information reflected in this guide should not be treated as absolute fact. The rules for all of the various legal structures change all of the time and you should check with a professional when making the final decision. When my wife and I first started out with our online wedding linens business, cashflow was of the utmost importance. We needed money to purchase inventory, to setup the necessary infrastructure for the business and we desperately wanted to turn a profit as soon as we could. Because forming any legal structure outside of a sole proprietorship would have cost us a good chunk of change (especially in California), paying money to form an LLC or corporation was the last thing on our minds. So we stuck with a sole proprietorship for a year until we started chatting with some of my lawyer friends. You might think that selling wedding linens to the end consumer might be about as safe as it gets in terms of liability. But when my lawyer friends started citing ridiculous court cases in which small business owners were sued and forced into bankruptcy, I realized that no business is safe from litigation especially in America. The reality is that you never know when you’re going to get sued so you better be prepared. Making the decision to incorporate or to form an LLC depends on the risk factors for your business. So the first thing you need to do is sit down, assess your risk tolerance and decide whether limited liability is a requirement. Keep in mind that even if you choose to remain a sole proprietorship, you can still purchase business liability insurance in case an emergency arises. When our business was still a sole proprietorship, getting product liability insurance was the route that we took because it was significantly cheaper at the time and we weren’t as concerned about not being able to pay our business debts as we were about getting sued. Getting product liability insurance is still a good idea even if you do plan to incorporate or get an LLC. Note: In retrospect, it probably would have made more sense to form an LLC and forego business insurance until later because our business had no assets when we first got started. Below is a brief summary of each of the different corporate structures. Before proceeding with the rest of this article, you might want to refresh your knowledge regarding some of these legal entities before I discuss them in depth. Is A Sole Proprietorship For Me? If you fear excessive paperwork and you want to keep it simple, then a sole proprietorship is the way to go. Establishing a sole proprietorship is so easy, that you don’t have to do anything at all. By default, the IRS considers all business owners sole proprietors. Because going with a sole proprietorship is stress free and easy, many people stay as solos early on. Since everyone has their own situation however, below are a few questions you should ask yourself. Are you selling items or services that are prone to getting sued? For example, do you sell any food articles or anything that could be potentially dangerous? If you require liability protection, then sole proprietorships are definitely not for you. Since the US is such a litigious country, anyone can sue you for almost any reason. If you don’t have liability protection, you could go bankrupt as a result of your business. Just because you are a sole prop though, doesn’t mean you can’t still protect yourself from liability. For example, if the goods you are purveying are relatively safe, you can choose to get product liability insurance instead. Often times, you can select an insurance package that can cover you for anything that may arise. The beauty of a sole proprietorship is that the business losses can be deducted directly from your taxable income. In the beginning, when your business is not profitable, you can save money on your taxes by declaring a loss. Keep in mind that all of the same rules regarding business deductions apply to sole proprietors as well. Do You Want to Keep it Simple? Sole proprietorships have the simplest tax rules and there are absolutely no setup costs required. Its easy to go in and out of business whenever you feel like it with little or no paperwork. The book keeping required is much simpler as well and you get to pocket all of the profits and losses. Best of all, you don’t have to file a separate tax return because there is no separate business entity. Is A C Corporation For Me? I used to think that C corporations were meant only for large successful companies. When I think of C Corps, I think of big names like Microsoft, Google and IBM and definitely not a small business. In reality, it’s pretty easy to become a c corporation. Anyone can file for C corporation status, but typically small businesses shy away from C corps until they are solidly profitable. 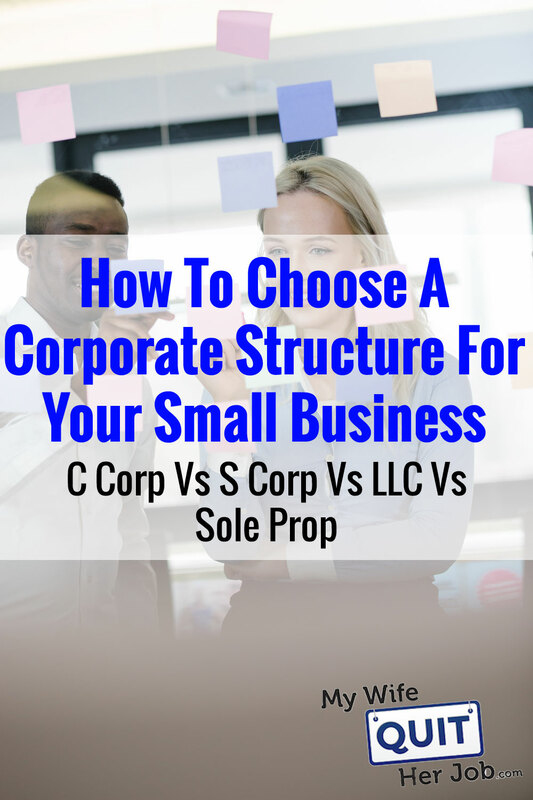 Because the C corporation is probably the most complicated corporate structure that you can possibly have, there are a lot of questions that you should ask yourself before you decide to become one. C corporations require the most paperwork of all of the corporate structures. There are complicated tax rules involved and legal and accounting costs as well. In short, a C corp is probably the most expensive way to go and you will inevitably require professional help to maintain it. In addition to all of this, the state will probably charge you a yearly fee or percentage of the profits just to maintain corporation status. In California, corporations are charged 1.5% of the profits or 800 dollars a year (whichever is higher). You have to pay this whether you are profitable or not. Do You Require Limited Liability? 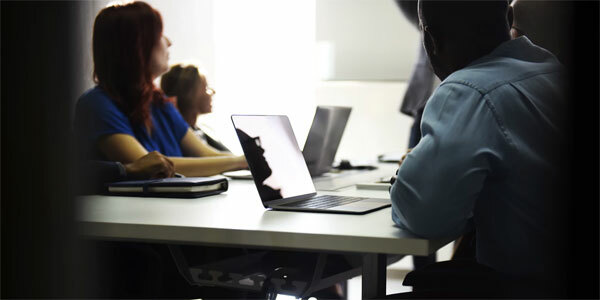 There are many other corporate structures that provide limited liability, so limited liability is generally not your primary concern when choosing a C Corporation. Similar to an S corp or an LLC, a C corp will shield you from high business risks that can’t be sufficiently covered by insurance. If your answer is a resounding yes, then this is where the C corporation advantages truly start to shine. Unlike S corporations or LLCs(check with your state), C corporations can leave profits within the business. Typically, these profits are taxed at substantially lower rates. For example, the tax rate is a flat 21% as of December 2017. Compare that to your individual income tax rate which can get as high as 39.6% and you’ll see that you can save a tremendous amount on your taxes. Especially if the C corporation is entirely run by you or your family, you can leave most of your money within the business and make purchases using your corporation’s assets instead of your own. This practice is called income splitting. Let’s say that your corporation made 100k in profit for the calendar year and your individual tax rate is 30%. Instead of paying 100k to yourself and getting hit with a 30k tax bill, you can leave 50K within your corporation which is only taxed at 21%. Your individual tax bill goes down to only 15k and your corporation pays only 10.5K which nets you a savings of 4.5k in taxes! The important thing to remember is that corporate losses in a C Corp can not be used to offset your personal income taxes. Because C Corps are considered a separate entity, corporate losses can only be used to offset corporate gains. That is why a business that is losing money should look towards an S Corp instead. The general rule of thumb is that a business should be making at least 100k in profits to consider becoming a C Corp.
Do You Have More Than 75 Shareholders? If you plan on obtaining outside funding or giving out stock options to employees, you pretty much have to become a C Corporation in order to do so. Do You Need to Have Easy Access to Business Funds? Because a corporation is literally a separate entity in the eyes of the law, it can be a hassle to take money out of the business. For example, if you wanted to buy a house and tap into your corporation, you would have to do some paperwork and pay yourself a dividend. This dividend would then have to be declared on your individual income tax return as dividend income. In other words, you will get taxed twice. All transactions that take place between you and your business must be clearly documented. How Do I Form A C Corp? Forming a C Corporation can be a confusing task. There are several different forms that you need to fill out and many rules associated with starting and running a C Corp. If you are thinking about forming a C Corp, I highly recommend having a third party do the paperwork for you. For example CorpNet.com is a company that specializes in small business formation for a very reasonable fee. Rather than have to trudge through all of the different forms and legalese, it’s far easier to have CorpNet.com handle everything for you. Plus, they’ll give you a free consult as well. Click Here To Form A C Corp And Use Coupon Code: MWQHJ for 10% off! Is An S Corporation For Me? In general, S Corporations are valuable when you require the limited liability protection that a corporation provides and when your business is not profitable. S corporations are pass through entities which means that all income is passed directly to the shareholders who pay taxes under their own individual income tax rates. As a result, the S corporation itself does not have to pay any federal income taxes. Before electing to create an S corporation, here are a few questions that you should be asking yourself. Do You Absolutely Require Limited Liability? Filing for an S corporation requires a significant amount of paperwork compared to a sole proprietorship. Even though the income for an S corporation is passed directly to the individual, a separate tax return must be filed because an S corp is treated as a separate tax paying entity. In addition, an S corporation must file and pay employment taxes on its employees as well. You must also take into consideration that your state may charge a fee as well in order to be incorporated. For example, the state of California charges a minimum 800 dollar yearly fee or 1.5% tax(whichever is higher) to maintain the corporation status. This fee exists whether or not you make any money at all. Is it worth the hassle? If you absolutely require limited liability, then the answer is yes. However, also keep in the back of your mind that you can get product liability insurance with a sole proprietorship to protect your assets with less hassle. If the answer is yes, then chances are an S corp is not a good idea. The main advantage of an S corp is that you can pass your losses directly into your individual income tax return. 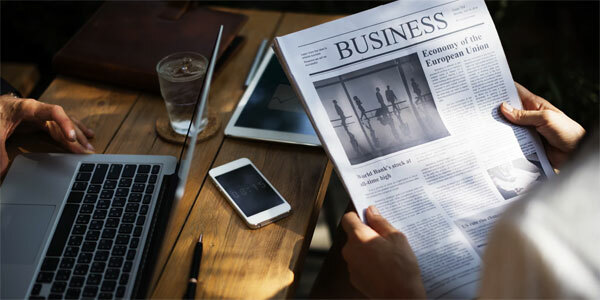 As soon as your business is profitable, there are alternative corporate structures to consider such as a C corporation in which you can save more on your taxes. In order to qualify for S corporation status, you must meet the following guidelines. All shareholders must be US citizens or permanent residents. You can’t have more than 75 shareholders. Do You Want To Reinvest Profits Back Into Your Business? If the answer is yes, then an S corporation is not the answer for you. Because S corporations are not allowed to keep earnings within the corporation, they must be paid out to shareholders every year. As a result, no money stays with the corporation at all. All of the profits are taxed at your individual income tax bracket. Just like a C Corp, forming an S Corporation can be a confusing task. There are several different forms that you need to fill out and many rules associated with starting and running an S Corp. If you are thinking about forming an S Corp, I highly recommend having a third party do the paperwork for you. Click Here To Form An S Corp And Use Coupon Code: MWQHJ for 10% off! Is An LLC For Me? I think of limited liability companies or LLCs as a hybrid between an S corporation and a sole proprietorship. LLCs, like S Corps and sole proprietorships, are pass through tax entities in that taxes on income are filed under an individual’s income tax return. The LLC also provides limited liability protection. The main advantage of LLCs is that it can provide you with limited liability protection without the hefty paperwork requirements of corporations. So what questions should you ask yourself? Do You Really Need Limited Liability? The LLC is very attractive from a limited liability standpoint mainly because of the informal low cost aspect of running one. Compared to a corporation, there is much less paperwork involved and its extremely easy to form and dissolve. However the liability protection, like a corporation, comes at a cost. All states treat LLCs differently in terms of taxes and fees. You need to check with your state, but California has pretty unfavorable tax laws for LLCs. In California, every year you have to pay an 800 dollar franchise fee no matter what. In addition to this 800 dollars, you also have to pay a flat fee determined by your total income. Total income in this case means gross sales or revenue as opposed to net income. For example, let’s say that I made 500k in revenues but only 10k in total profit. I would have to pay $800 + $2500 in yearly franchise fees regardless of the fact that I only made 10k net. Assuming you require limited liability protection, the decision then falls between LLCs, S Corps or C Corps. There are a few rules of thumb here that I will describe below when choosing between the 3. Please take these rules with a grain of salt because you should always calculate what works the best for your business. If your business is losing money, then generally an S Corporation or an LLC is the better option from a tax standpoint because you can incur the losses on your individual tax return. If your business makes over 100k a year, a C corp offers the best tax savings at the expense of increased paperwork and regulatory filings. If you are deciding between an S Corp or an LLC, an LLC is generally more favorable when your profit margins are higher. You should calculate the break even point in terms of fees and make a decision based on your projected revenues and profits. Forming an LLC is fairly simple. Depending on your state, most of the time forming an LLC involves filling out only a single form. In general though, finding and filling out the proper forms can be confusing. If you feel like you need assistance, CorpNet can do all of it for you for a few hundred bucks. Click Here To Form An LLC And Use Coupon Code: MWQHJ for 10% off! If you’ve assessed your risks and decided that you need liability protection, there are basically 3 choices, a C Corporation, an S Corporation and an LLC. The choice amongst the 3 depends on some very important factors. Do you plan on issuing stock options to attract or raise capital? If the answer is yes, you pretty much have no choice. You have to form a corporation. S Corporations are limited to only 75 members so if you require more shareholders, you must form a C Corporation. Do you ever plan to take your company public? Once again if the answer is yes, you pretty much have to form a C corporation. Did you answer no to the above questions? If so, then choosing to form an LLC usually makes the most sense. 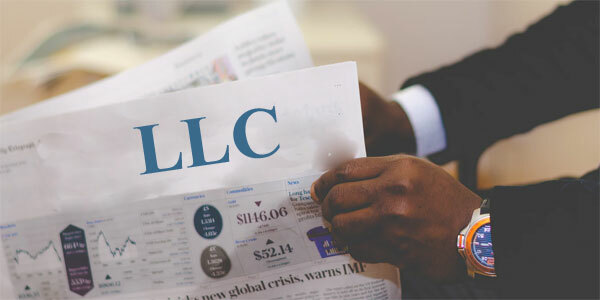 The simplicity and flexibility of having an LLC gives it a clear advantage over a corporation. In general, if you choose to go the corporation route, you’ll need to consult an accountant or a tax lawyer to help you with the fine details of running a corporation. Just to give you an idea, running any corporation involves quite a bit more time and expense. For example, you need to hold regular board of directors and shareholders meetings and keep corporate minutes. You need to adopt the various corporation bylaws, issue stock to shareholders and keep records and transactions of the business completely separate from those of the owners. If you are a one man show, then this might not be a big deal but it can become cumbersome with many members. An LLC offers you the ability to be taxed as a corporation (S or C) as well which grants you the flexibility to leave some money in your business at lower tax rates much like a C corporation. All of this comes with far less paperwork. In a nutshell, you can do almost anything with an LLC that you can do with a corporation with far less burden. 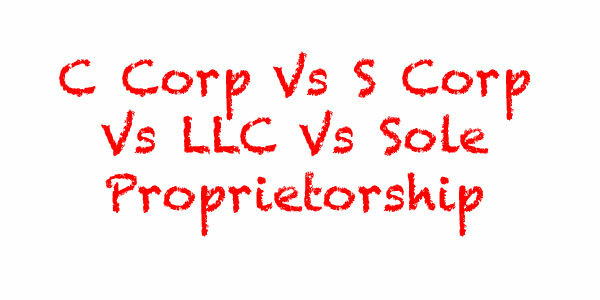 What’s Different Between An LLC And An S Corporation? LLCs are relatively new. Before LLCs existed however, forming an S Corporation was the structure of choice for those who wanted pass profits directly through to the owners like a sole proprietorship. S corporations may not have more than 75 shareholders who all must be US citizens or residents. In an LLC, any type of person, foreign or domestic, can become a member. Shareholders of an S corporation must allocate profits exactly according to the percentage ownership of the company. For example, if I own 60% of the shares, I must get paid 60% of the profits. In an LLC, you can distribute the profits however you want. S corporations are still corporations and must abide by the corporate rules. This means issuing stock, holding meetings, keeping minutes etc… LLC owners don’t have to perform any of this overhead. Since our online store is very profitable, you might be wondering why we didn’t go the C corporation route. The reality is that our online wedding linens store is probably never going to go public and we certainly aren’t going to be raising large sums of money from investors. 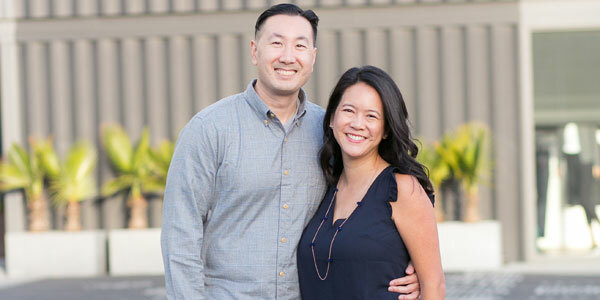 Our business was meant to be small so my wife could quit her job and stay at home with our kids. In a nutshell, we didn’t want to deal with the additional headache and paperwork that a corporation requires. 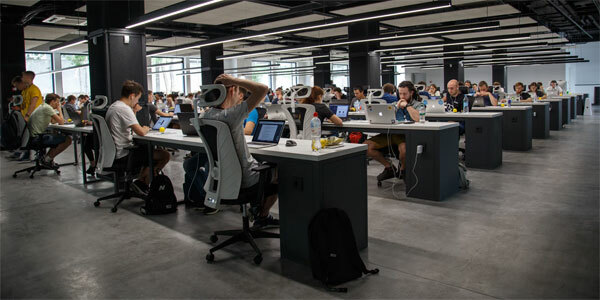 Since an LLC allows you the flexibility to be taxed as a corporation as well, this more or less gives you almost all of the benefits of a corporation without all of the hassle. In the end, this made forming an LLC a no brainer for us. Should You Follow In Our Footsteps? One thing to keep in mind is that the rules for an LLC differ in every single state so you really need to do your own research depending on your locality. You also need to check whether your business is even eligible to form an LLC. For example in California, professional services businesses may not form an LLC. In general though, if you know that you are going to be small and stay small, LLCs are the way to go if you want limited liability without too much hassle. If you have higher aspirations for your business and would like to go public someday, it is generally desirable to start out as an S Corporation until you are profitable. You can then switch over to a C Corporation in order to take advantage of income splitting.